On the bright side, that counter is really clean now. 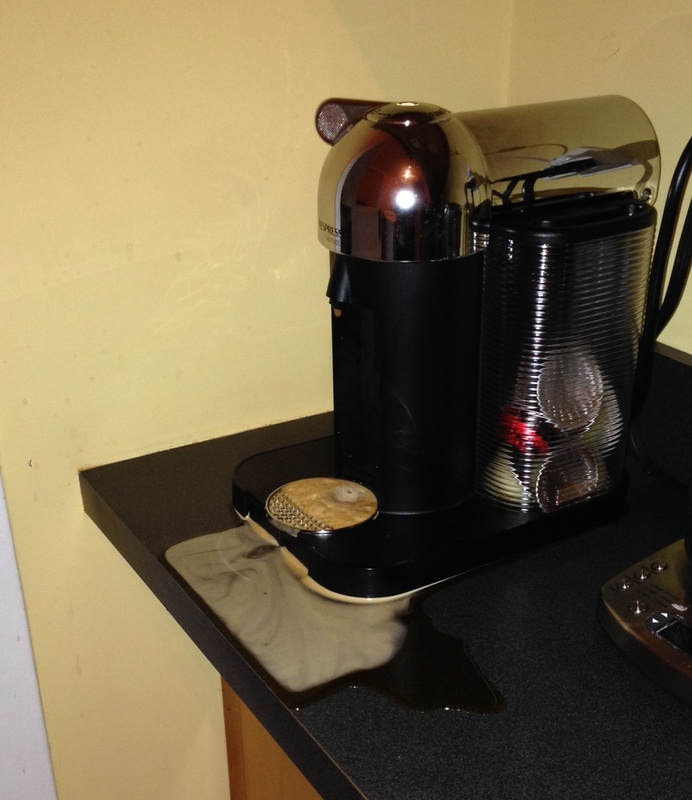 Yesterday I pressed the “go” button on the keurig without putting the mug in. Is that what you did here? Definitely a sign you need the coffee!